Not Great Harvest. We don’t rush it. We still believe in our elaborately long, traditional methods of bread making because it naturally develops an exquisite flavor and texture with time, instead of relying on the use of additives. 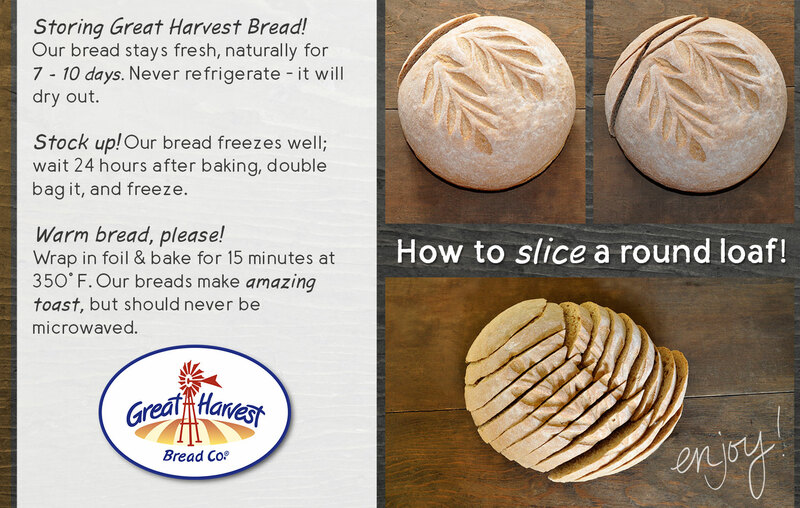 Over the years, we have been able to adapt to the wants and needs of our customers and can offer great-tasting products fit for many diets, but since the inception of our bread-making business, one thing is still for certain – Great Harvest bread is truly one-of-a-kind. It’s simple. Handmade. Wholesome. Tasty. Bread. The way it ought to be.